Offering you a complete choice of products which include video switcher, usb over cat5 extender, audio video switcher, s video audio matrix switcher, video matrix switcher and s video switcher. We are instrumental in offering the finest quality Video Switcher to our prestigious clients. The offered switcher is manufactured using excellent quality components and advanced technology in line with industry norms. Widely used in conference room, security systems, hospitals, this switcher is checked on various quality measures in order to ensure its quality. We offer this switcher in varied specifications and designs for our clients to choose from. Simultaneous monitor display of two outputs. Gain controlled Video output for optimal viewing. 2 Video Inputs and 1 Video Output. 4 Video Inputs and 1 Video Output. 8 Video Inputs and 1 Video Output. 4 Video Inputs and 2 Video Outputs. 8 Video Inputs and 2 Video Outputs. 16 Video Inputs and 2 Video Outputs. Perfect for extending USB signal further away than standard USB cable allows. Extend USB upto 160ft away from the computer on single low cost CAT5, 6 or 7 Cable. Plug & play, no drivers or software's needed. Any Computer is compatible, no limitation except the required USB port. 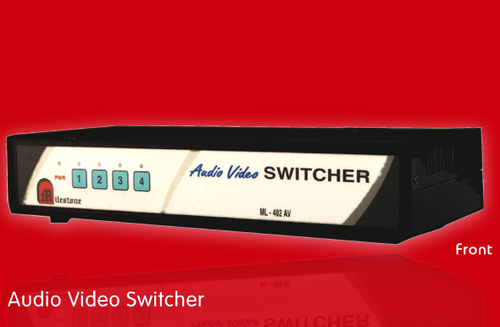 We have marked a distinct position in the market by offering superior quality Video Switcher. The provided switcher is manufactured using the best quality components and progressive technology in line with industry norms. 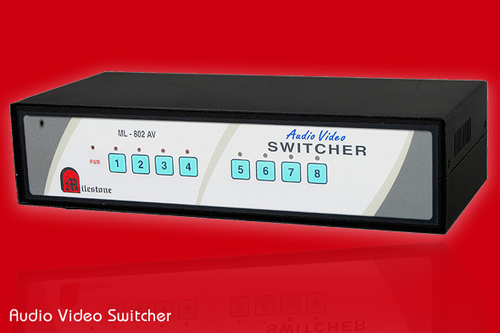 The offered switcher is a unit whereby multiple composite video input like DVD or camera and others can be switched to one or two composite video outputs. Being client centric, we stringently test this switcher so as to maintain its quality. 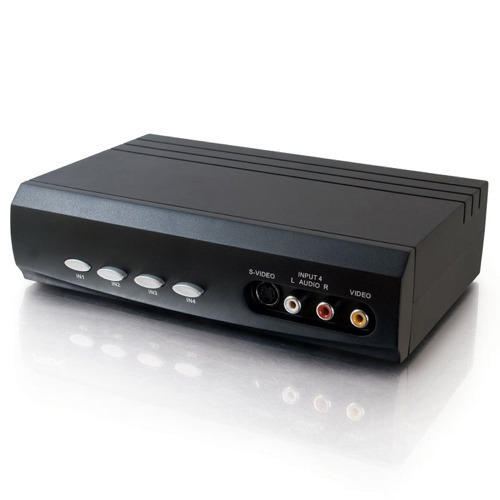 Compatible to all the composite Video inputs & Outputs. Keeping track with the latest market development we are actively engaged in offering supreme quality Audio Video Switcher. The offered video switcher is manufactured by using the best quality components and progressive technology under the vigilance of proficient professionals. Illustrious for its easy installation and usage, this video switcher has L/R audio inputs and outputs with respective video. 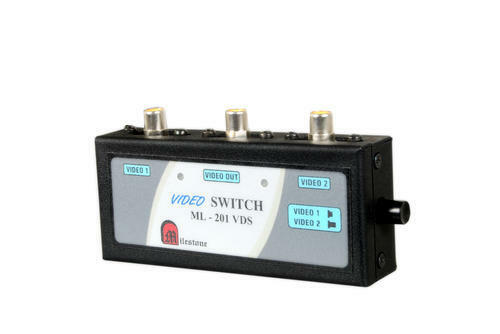 Apart from this, customers can avail this video switcher from us at budget friendly prices. 2 video Audio Inputs and 1 Video Audio Outputs. 4 Video Audio Inputs and 1 Video Audio Output. 8 Video Audio Inputs and 1 Video Audio Output. 4 Video Audio Inputs and 2 Video Outputs. 8 Video Audio Inputs and 2 Video Outputs. 16 Video Audio Inputs and 2 Video Outputs. 16 Audio Inputs and 8 Audio Outputs. 2 Audio Inputs and 16 Video Outputs. 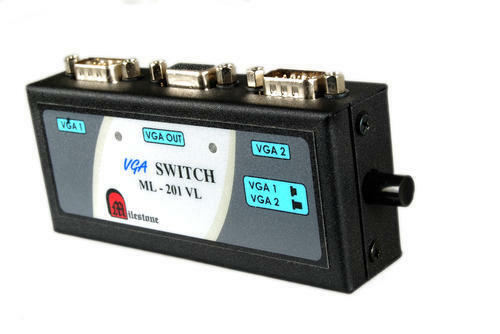 Milestone's S Video Audio Matrix Switcher has all the features of S - Video Matrix Switcher in addition it has L/R audio inputs and outputs with respective S-Video. 4 S-Video Audio Inputs and 2 S-Video Audio Outputs. 8 S-Video Audio Inputs and 2 S-Video Audio Outputs. 16 S-Video Audio Inputs and 2 S-Video Audio Outputs. 4 S-Video Audio Inputs and 4 S-Video Audio Output. 8 S-Video Audio Inputs and 4 S-Video Audio Output. 8 S-Video Audio Inputs and 8 S-Video Audio Outputs. Milestone's Video Matrix Switcher is 4/8/16 Video input to 2/4/8 Matrix Video output. Matrix means switching is possible as per your requirements in any combination. 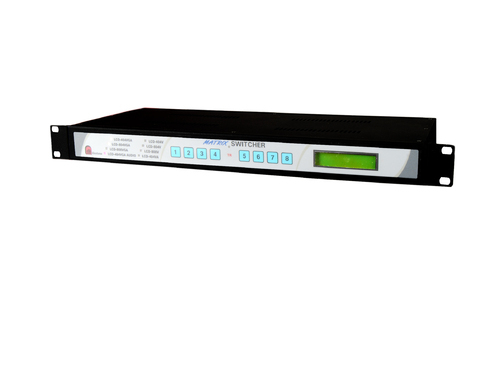 Each output is individually buffered and any input can be switched to any one or all output with virtually no signal noise between channels. Individual front panel Quick switch keypad. Gain controlled individual output for optimal viewing. LED indication for selected I/P and O/P link. 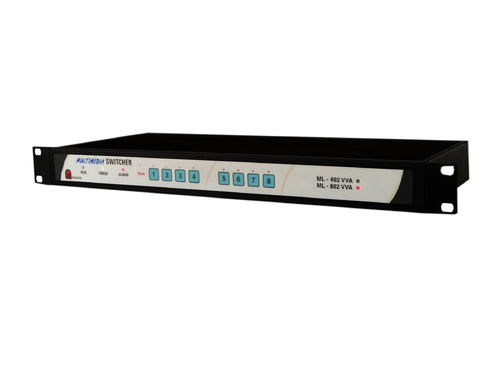 Milestone's "S - Video Switcher" is a unit whereby multiple inputs of S - Video 2/4/8/16, can be switched on to one two (simultaneous) S-Video outputs. The Switcher are user configurable for manual or SCAN modes, which can be enables or disable via a rear panel 2 way switch. Simultaneous display of two outputs. Compatible to all the S-Video inputs & Outputs. Gain controlled S-Video output for optimal viewing. 4 S-Video Inputs and 1 S-Video Output. 8 S-Video Inputs and 1 S-Video Output. 4 S-Video Inputs and 2 S-Video Outputs. 8 S-Video Inputs and 2 S-Video Outputs. 16 S-Video Inputs and 2 S-Video Outputs. We are reckoned manufacturer, importer, exporter and supplier of premium quality Audio Switcher. 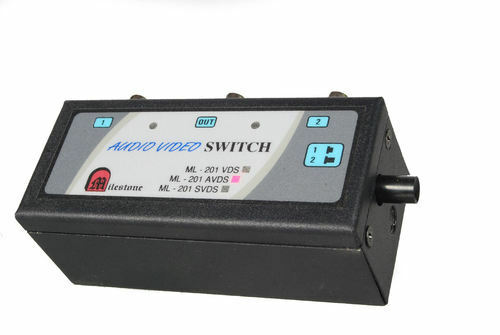 Used to switch one or more simulation stereo audio outputs, this switcher is manufactured using modern technology and the finest quality components. Furthermore, this switcher is available for the customers in varied sizes, designs and shapes. Our provided switcher is tested on varied quality measures so as to ensure its quality. LED indication for working sets. 2 stereo Audio Input & 1 stereo Audio Output. 4 stereo Audio Input & 1 stereo Audio Output. 8 stereo Audio Input & 1 stereo Audio Output. 4 stereo Audio Input & 2 stereo Audio Output. 8 stereo Audio Input & 2 stereo Audio Output. 16 stereo Audio Input & 2 stereo Audio Output. 2 stereo Audio Input & 16 stereo Audio Output. 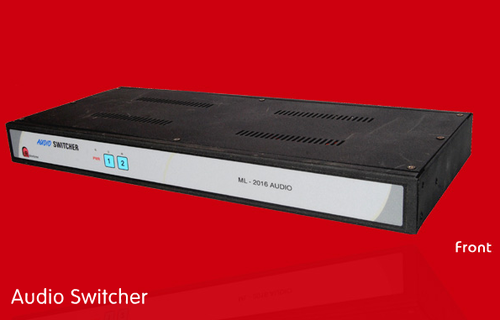 Milestone's Audio Video Switcher has all the features of Video Switcher in addition is has L/R audio inputs and outputs with respective Video. We can share 4 audio/video inputs with two audio/video outputs. 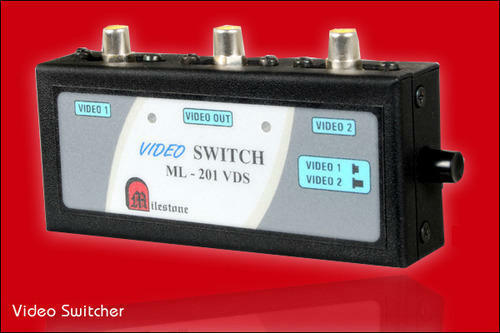 Looking for “Video and Audio Switcher”?